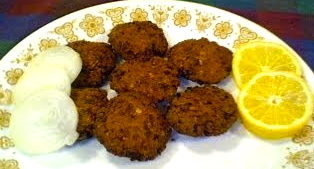 Medu vada or garelu is a healthy South Indian breakfast or side dish. It is high in protein and gluten free. Wash and soak urad dal for 4-5 hours. After 5 hours grind the dal into a thick batter. Add salt also while grinding. Add water very little by little while grinding. The batter has to be smooth and thick. If you add too much water you can not get vada in a good shape. Once you get the smooth batter transfer it into another container. 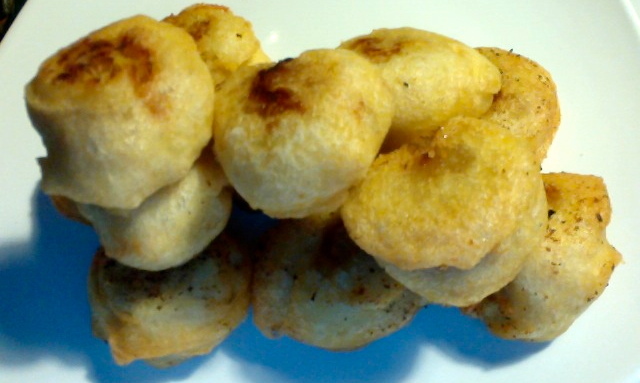 Keep a bowl of water ready to wet your fingers and palm every time when you make vada. Have a plastic wrap or a banana leaf ready to make vada. Here I used a sandwich bag. Place a thick bottom skillet with enough oil for frying on medium heat. Check if the oil is hot or not by putting a little bit of batter in the oil. If it comes up quickly with bubbles, your oil is ready. Once the oil is hot bring down the flame to medium. Dip your hand in the water to wet your fingers and palm. Rub the plastic sheet once to wet it. Then take a small portion of batter into your palm and roll it to make a ball. Since you wet your hand, the batter rolls in your hand easily. Place the ball on the plastic sheet and press it lightly and make a hole in the center with your finger. Wet your finger again if it is not wet enough to make a hole. Slide the batter gently from the sheet into your fingers. Then slide it carefully into the oil. Repeat the process for all the vadas. Every time wet your fingers and palm. 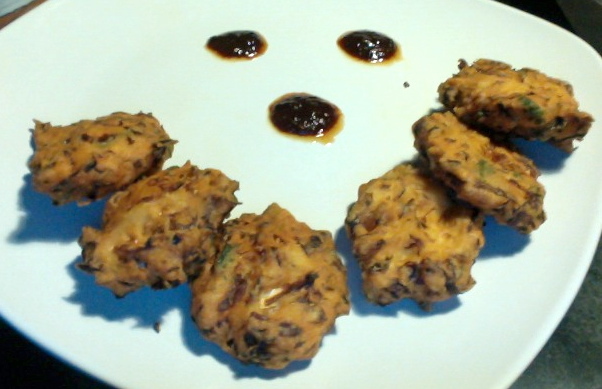 Make enough vadas for the oil and fry them on medium heat. Once you notice the color change around the vada you can flip them to the other side with a slotted soon. 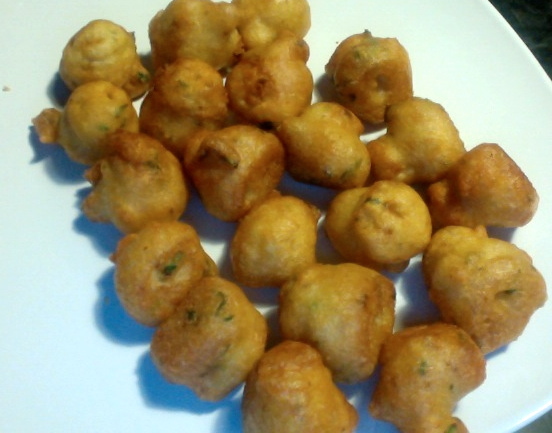 Continue frying until both sides are golden color. Then drain out the extra oil and transfer them into a plate covered with paper napkin. Wet your hands and take a small amount of batter and shape it into a ball. Now wet your thumb and make a hole in the center of the ball. Slowly drop it into the oil. Fry it on medium as usual. 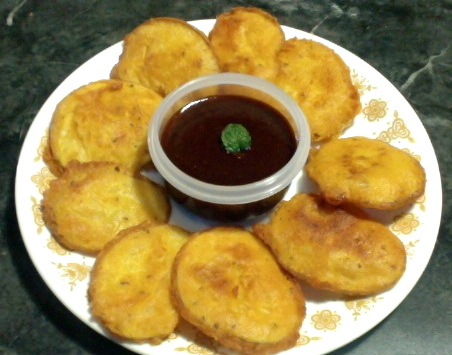 Serve Medu vada as a breakfast or as a side dish with sambar or chutney like coconut chutney, ginger chutney, or cranberry chutney. Enjoy! !